Generate Ministries employs Chaplains and Teachers for NSW Government Schools. Folio is being implemented at Generate to help manage a wide range of compliance needs. In the first instance, Folio will provide an out of the box, configurable solution to create a structured workflow around the Chaplain employment process. Folio will be used from the start of the process when a prospective applicant applies for a role through to where a contract is issued and the ongoing management of that contract. Throughout the time the chaplain is employed with Generate, Folio will ensure that qualifications and credentials such as working with children checks are up to date and that other deliverables are met in a timely fashion. Generate will also use Folio’s compliance attestation functionality to ensure compliance with legislation, regulation, contract obligations and internal policies and procedures. 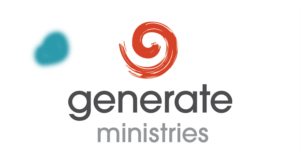 We look forward to working with Generate Ministries.